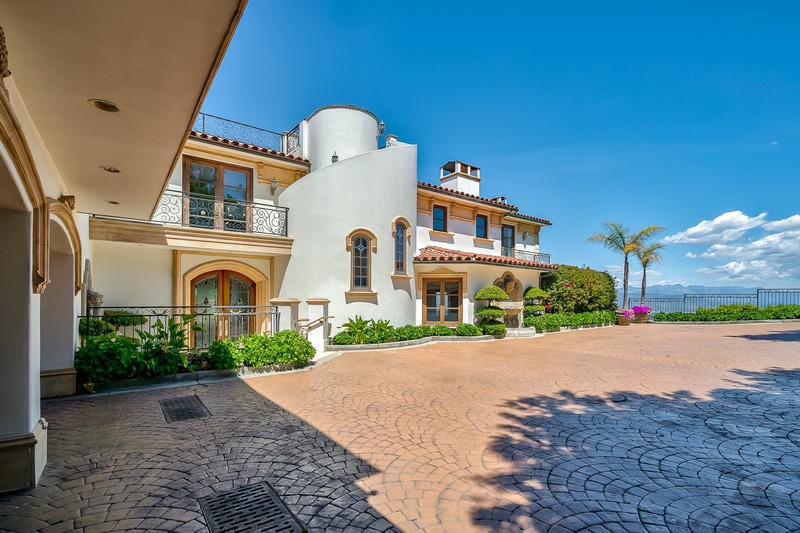 Hidden behind gates & down the private cobblestone driveway is Villa Soigni. 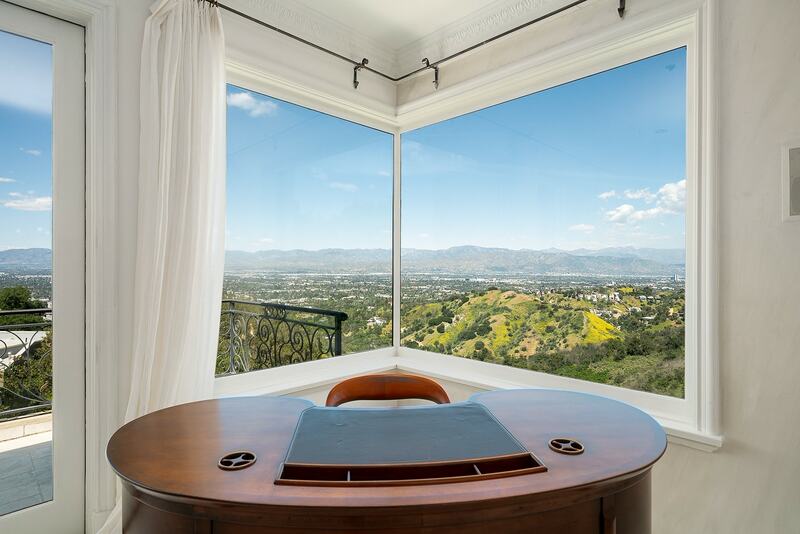 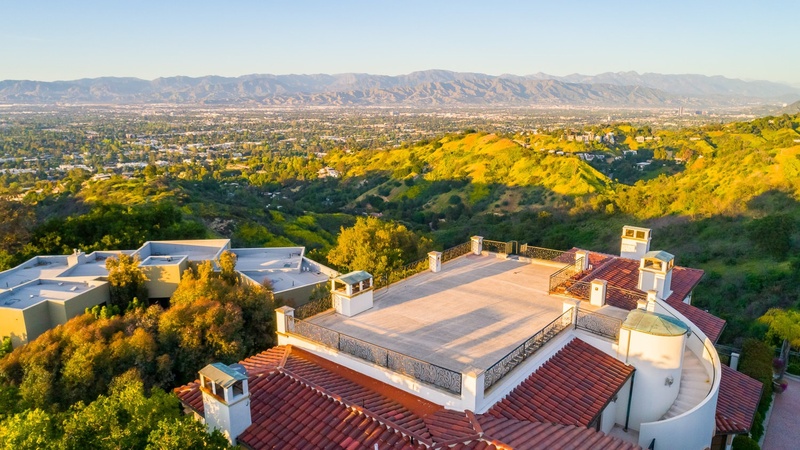 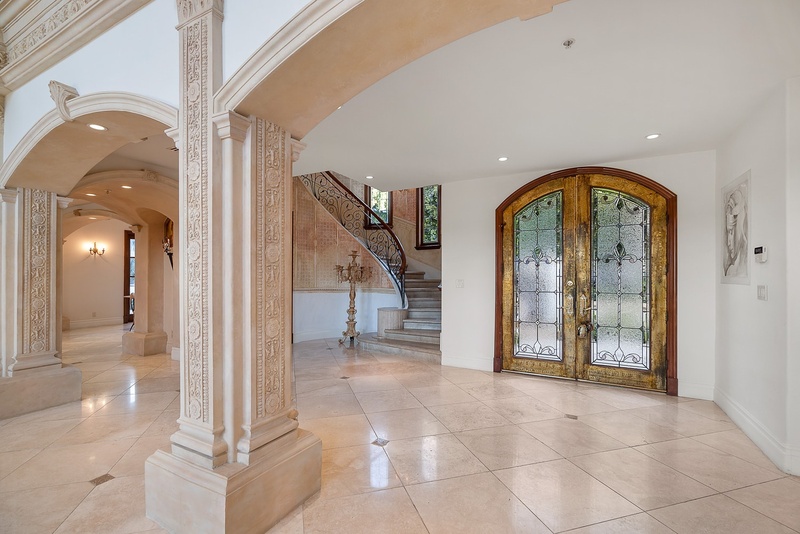 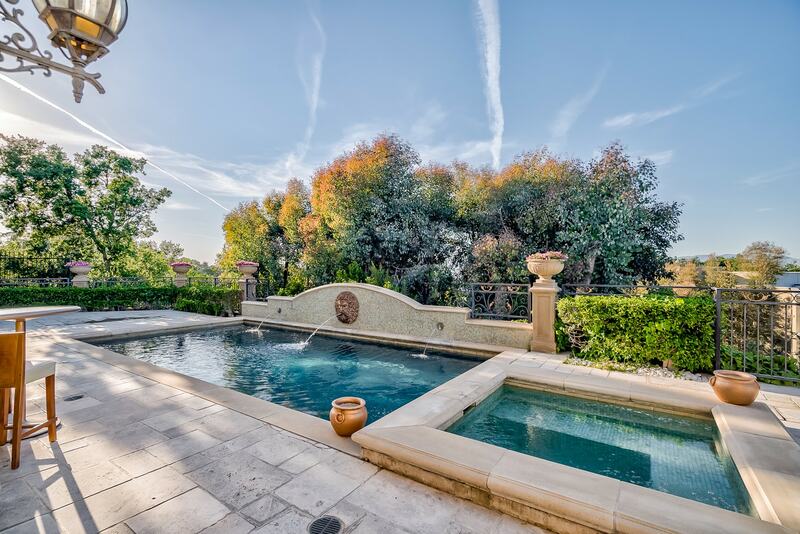 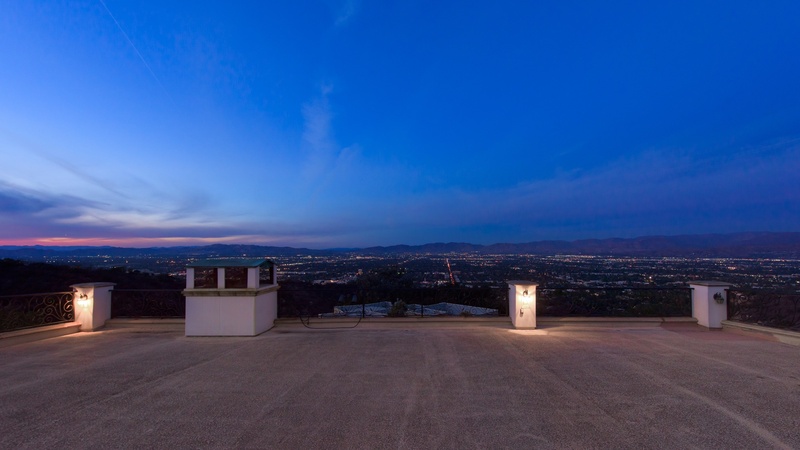 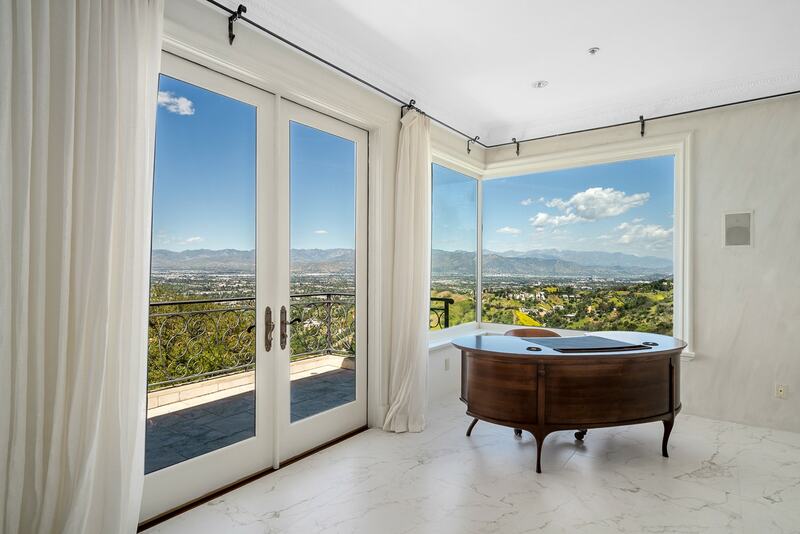 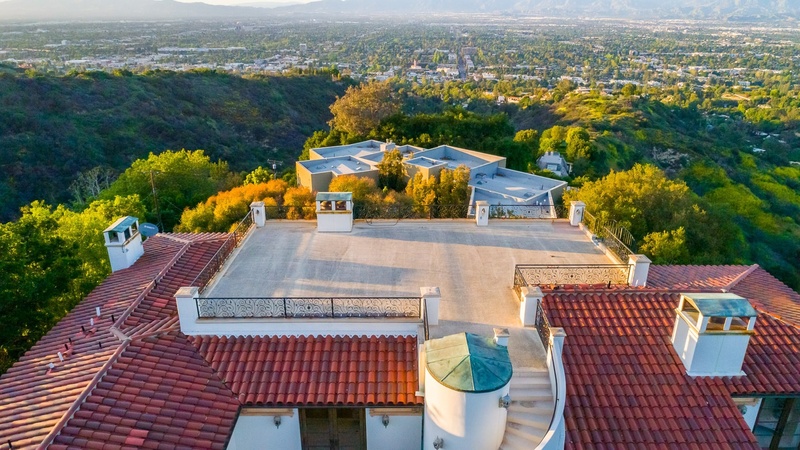 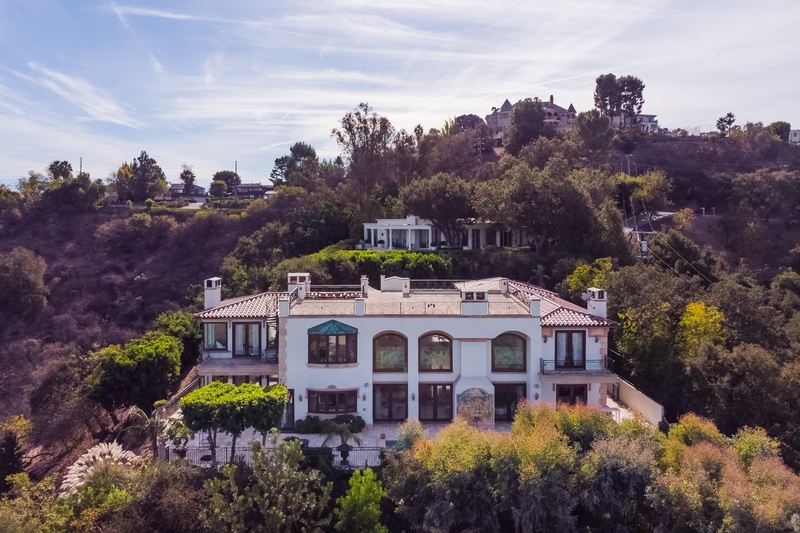 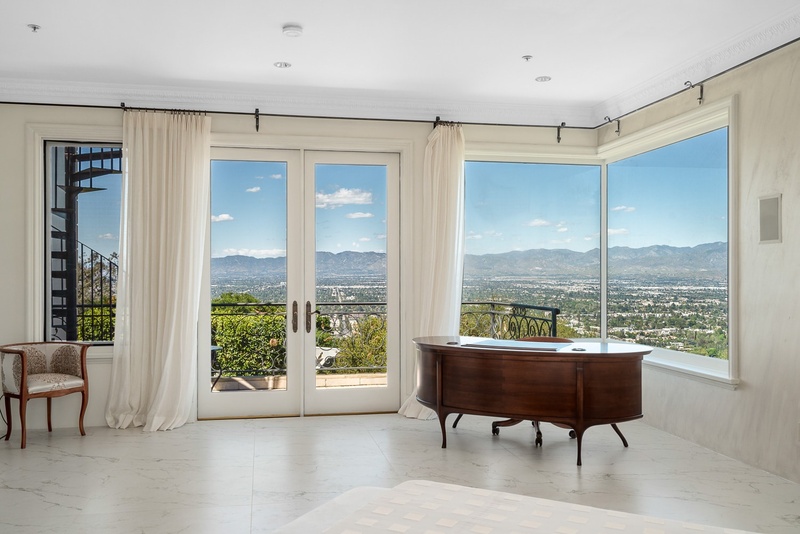 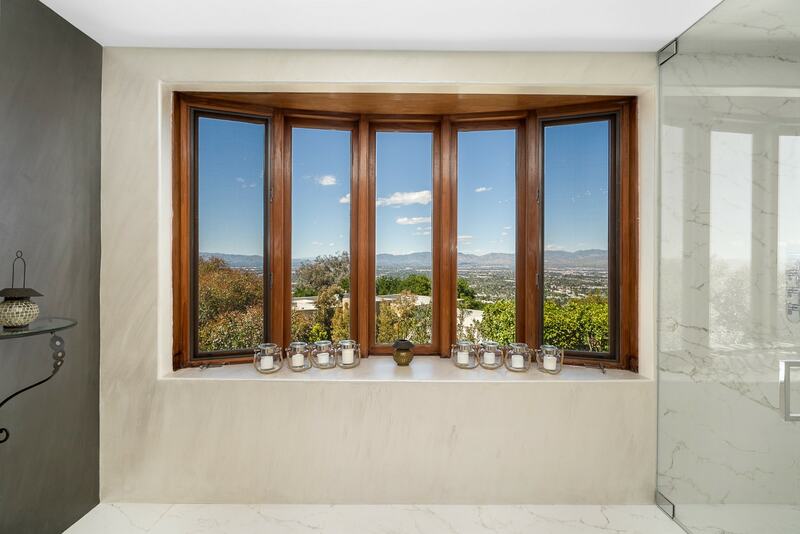 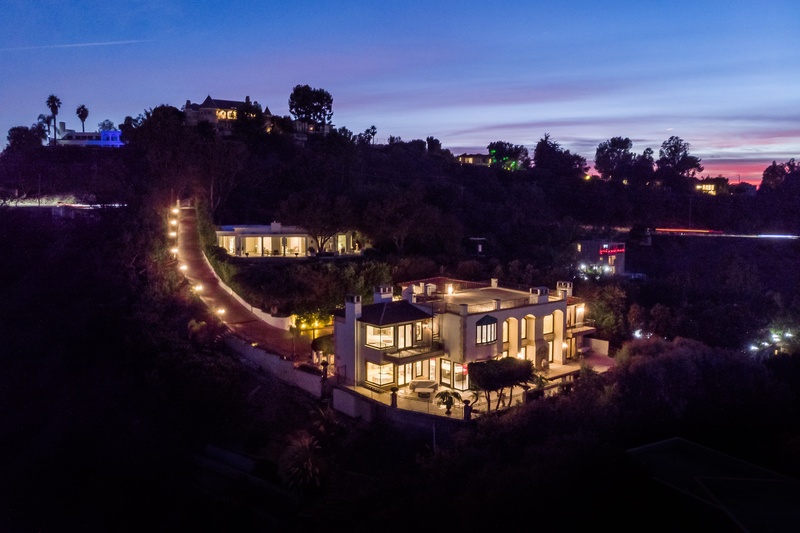 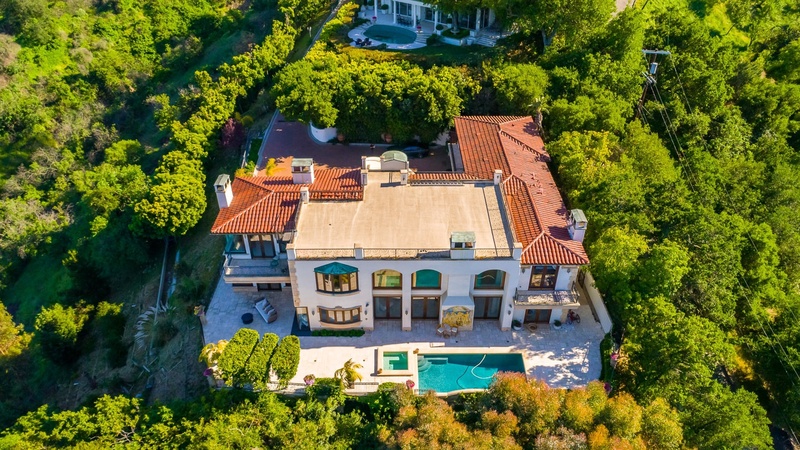 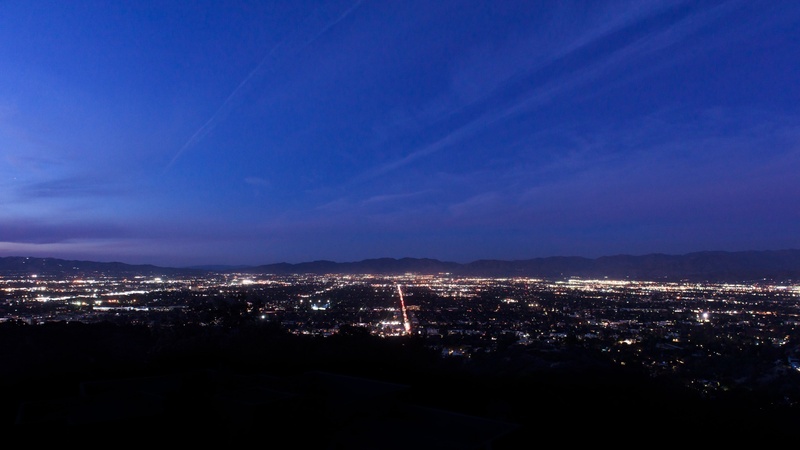 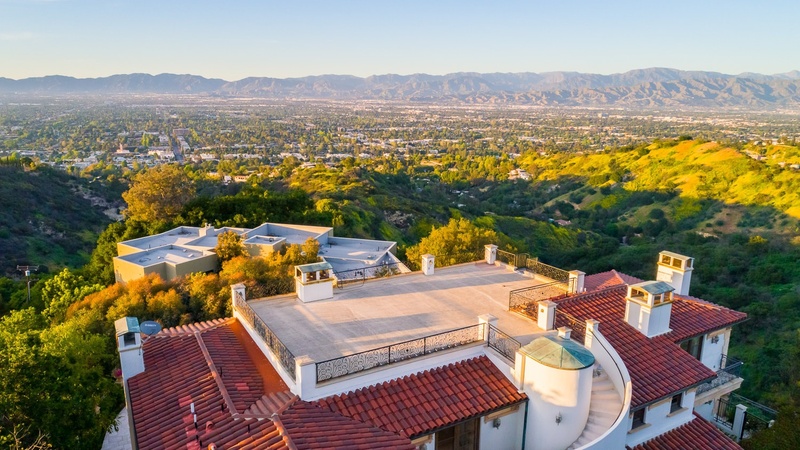 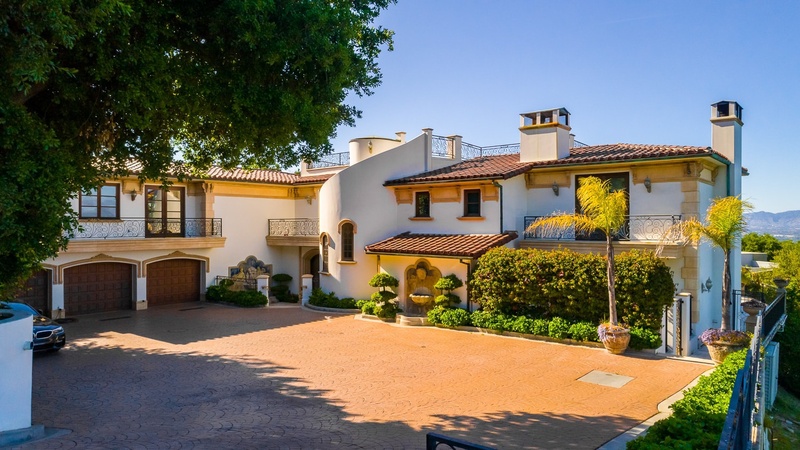 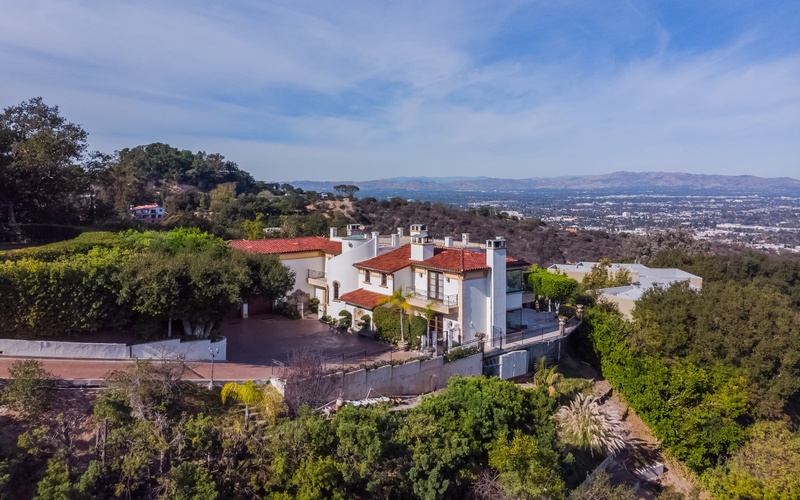 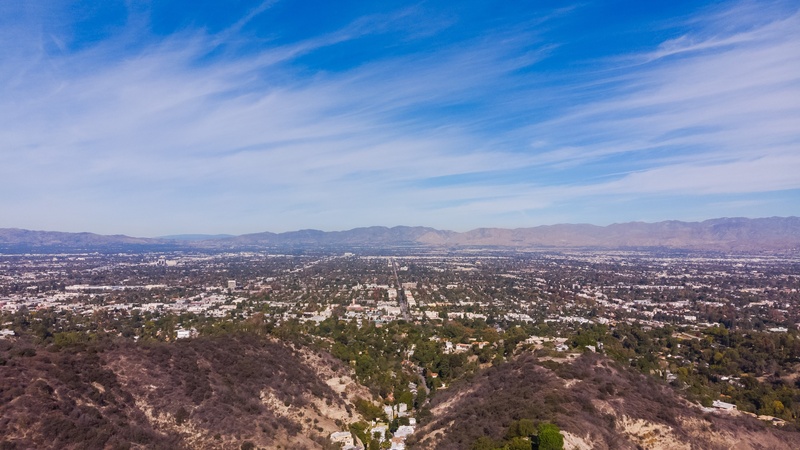 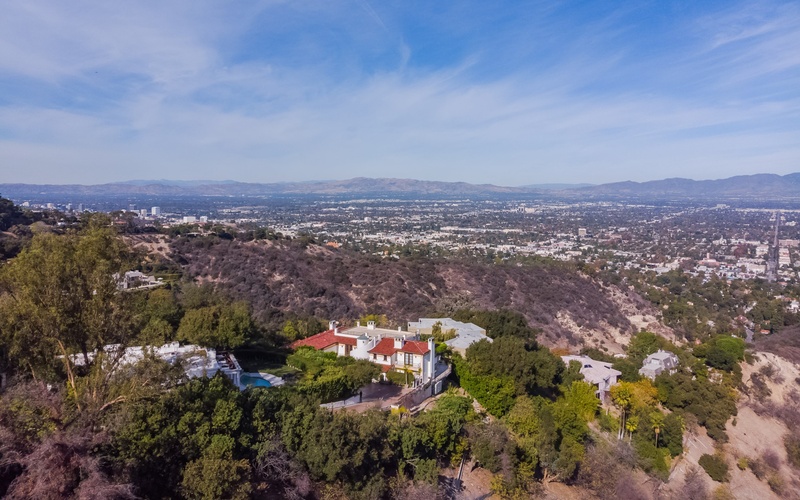 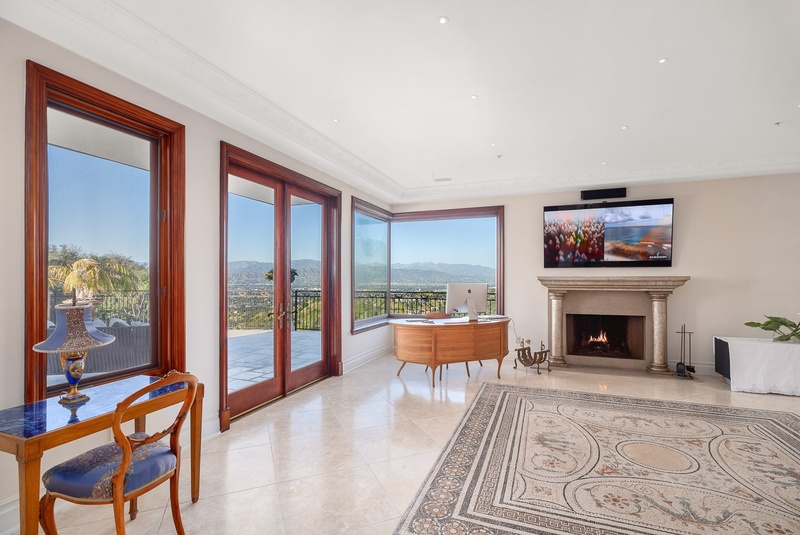 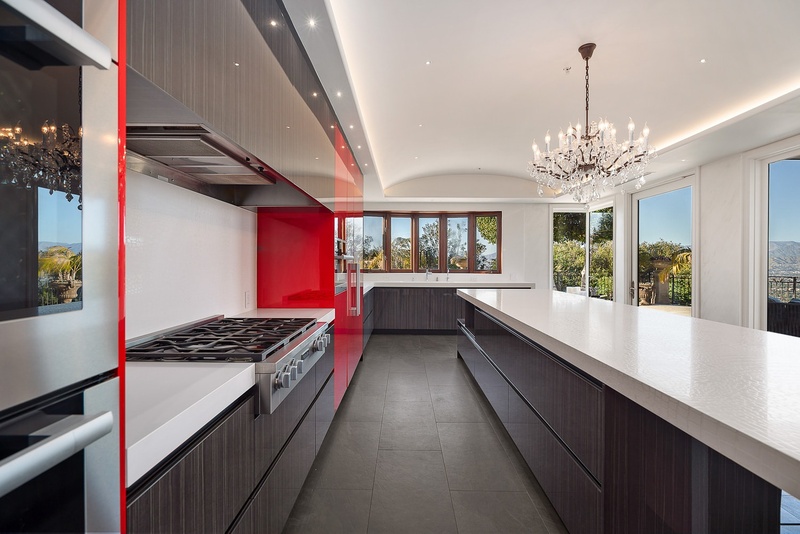 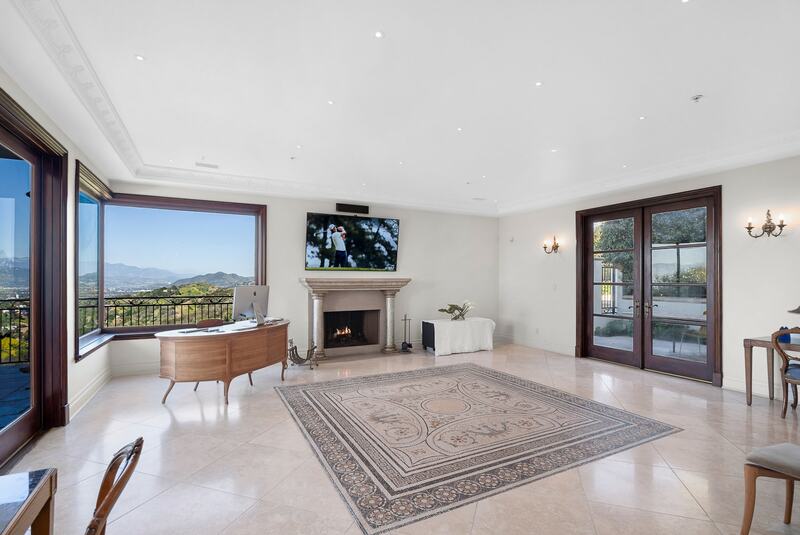 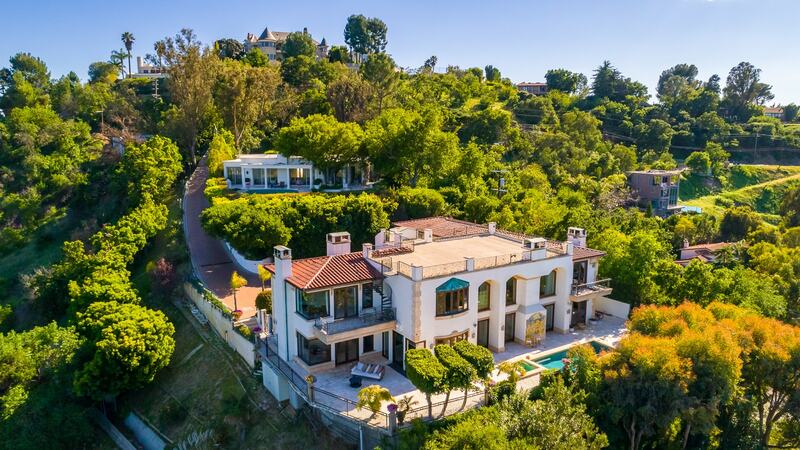 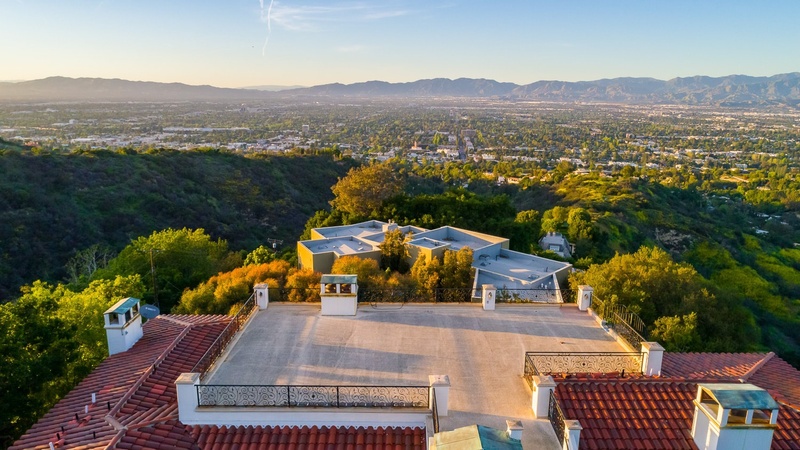 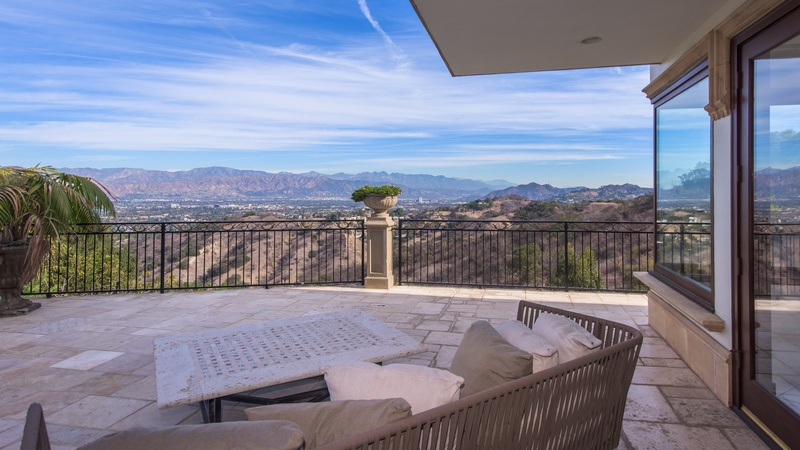 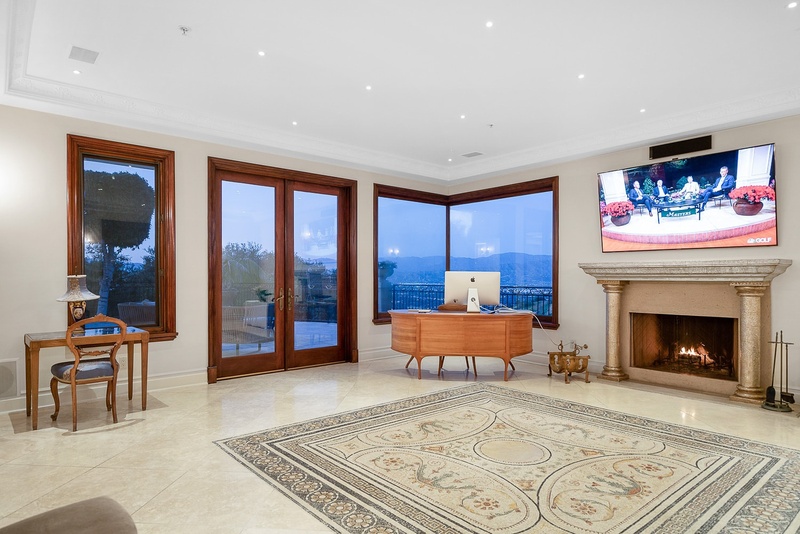 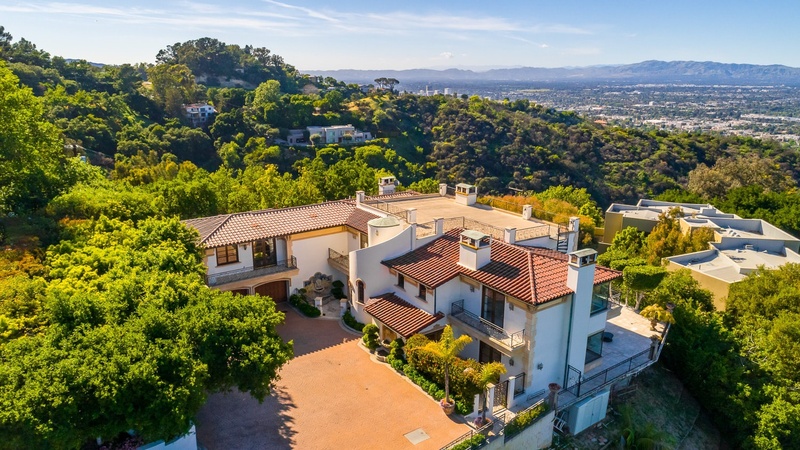 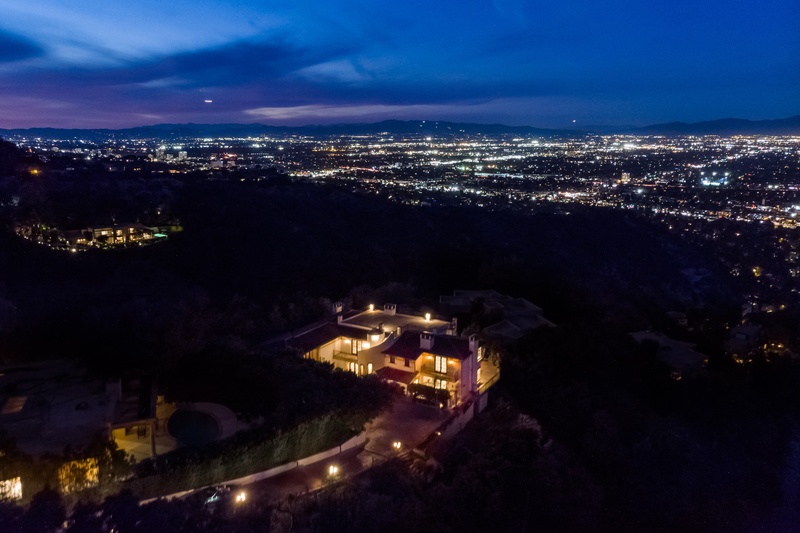 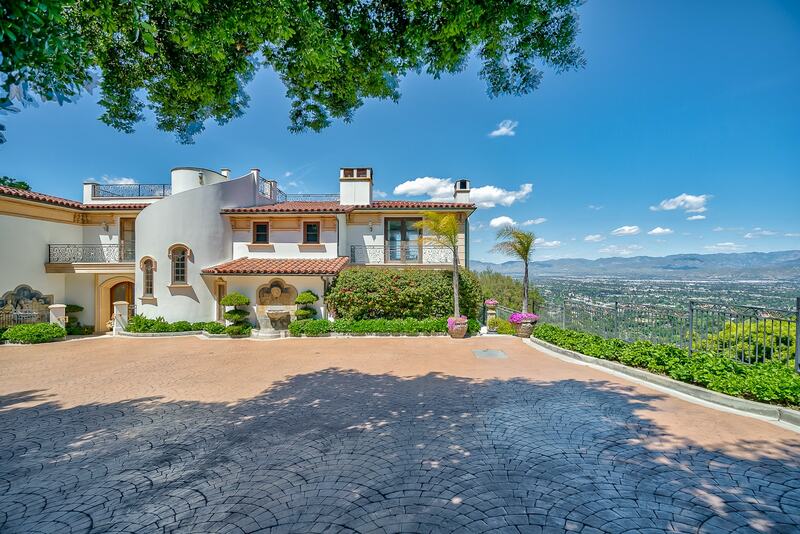 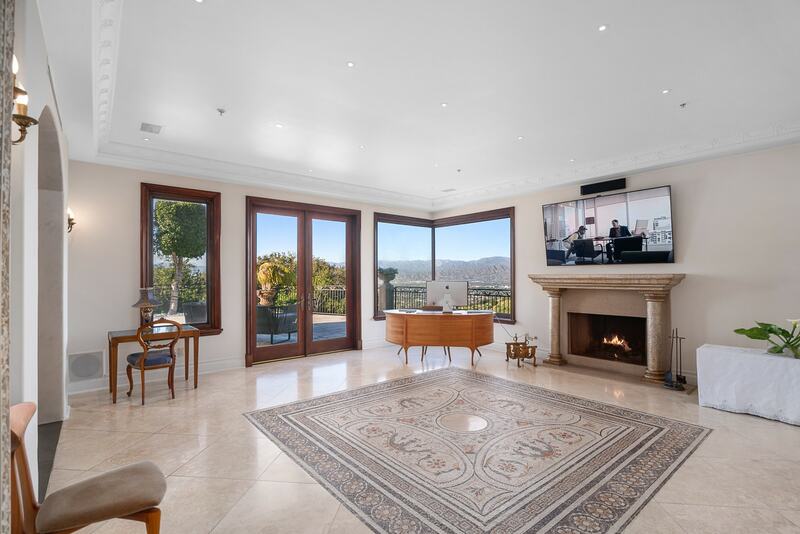 This exceptional, grand European villa sits atop Mulholland Dr. with commanding views of the San Fernando Valley. 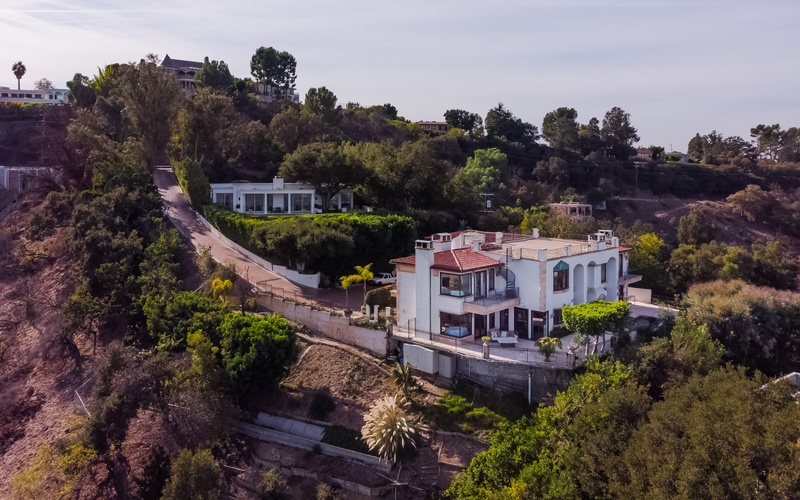 On over 2/3 of an acre & apx. 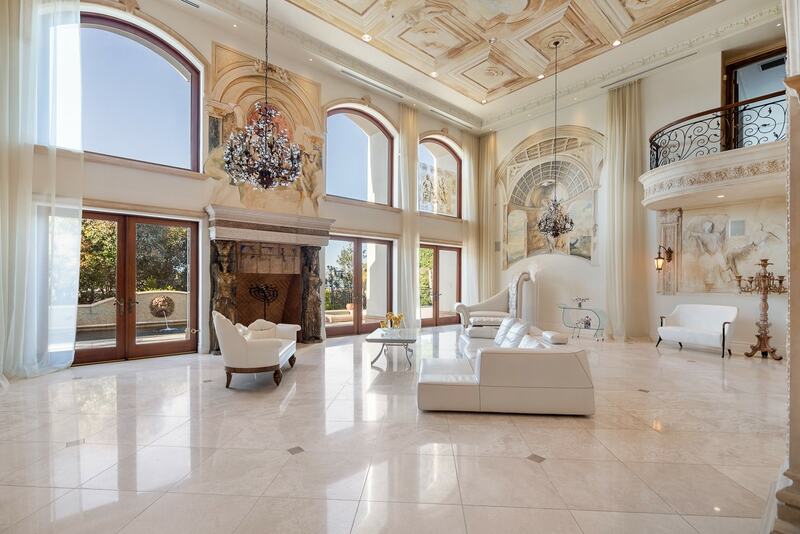 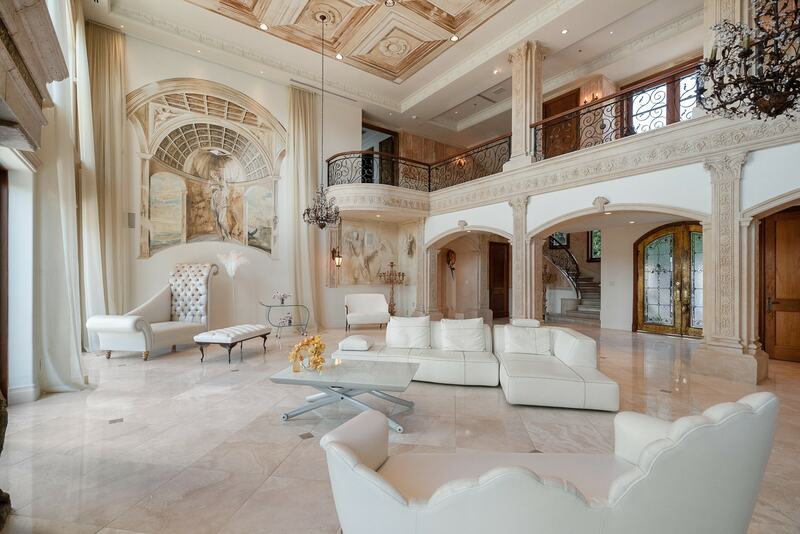 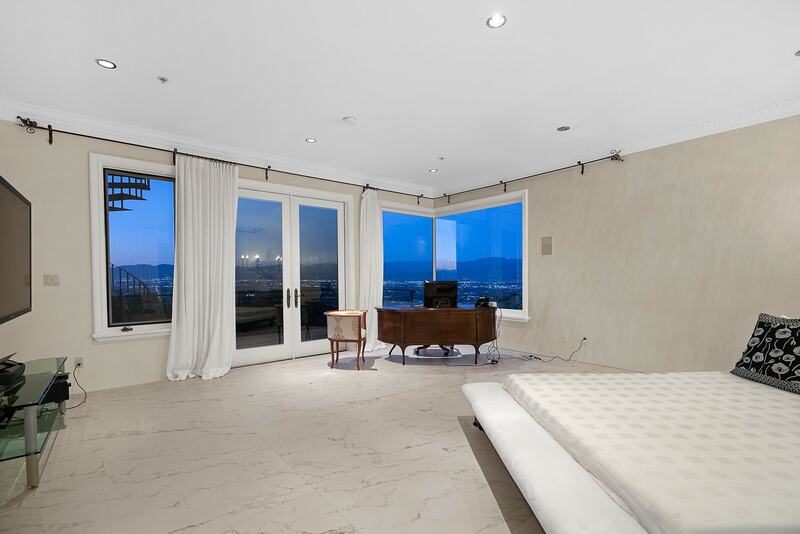 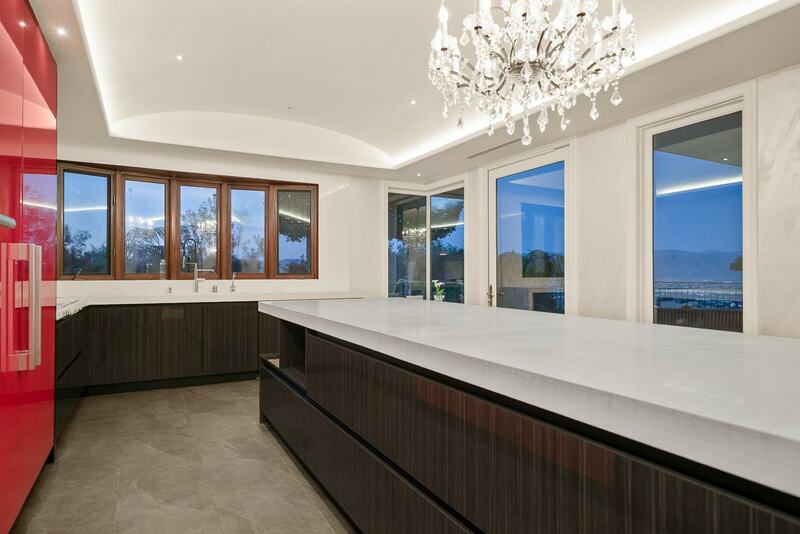 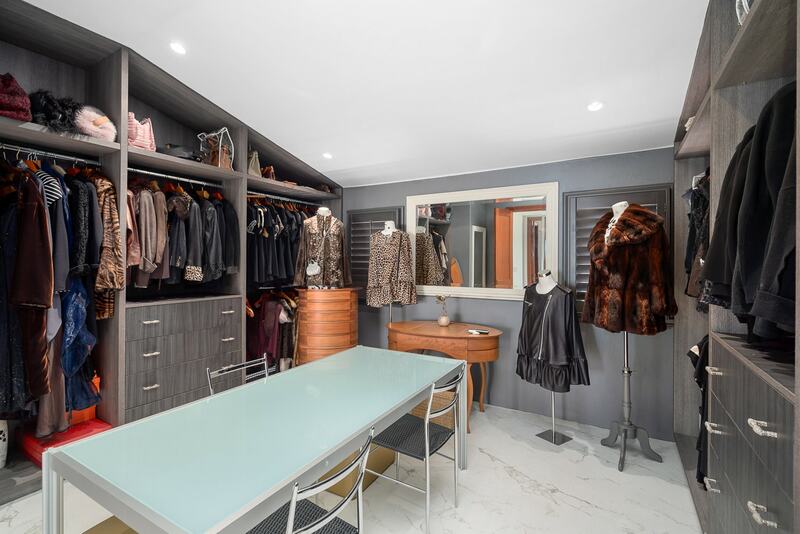 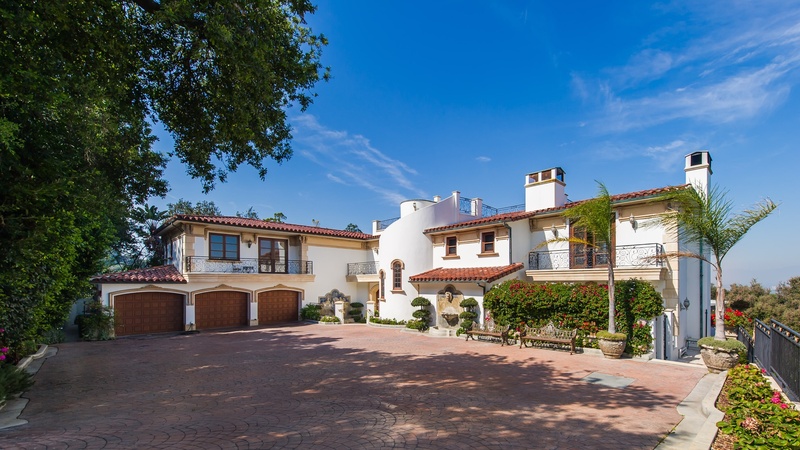 7,900 sq.feet the home is distinguished by over sized rooms w/abundant natural light and 30 ft. ceilings. 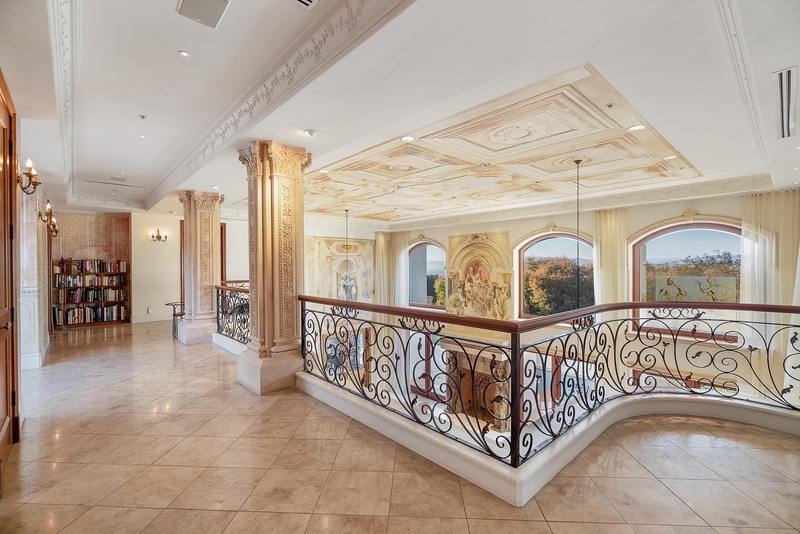 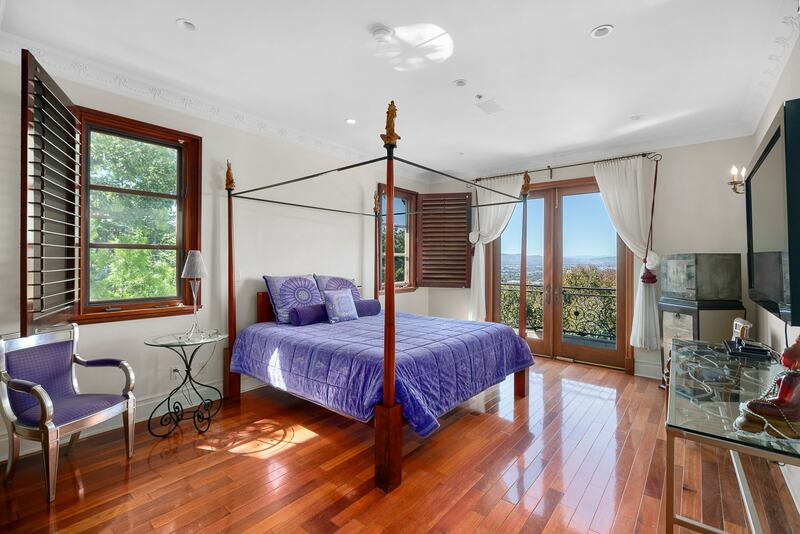 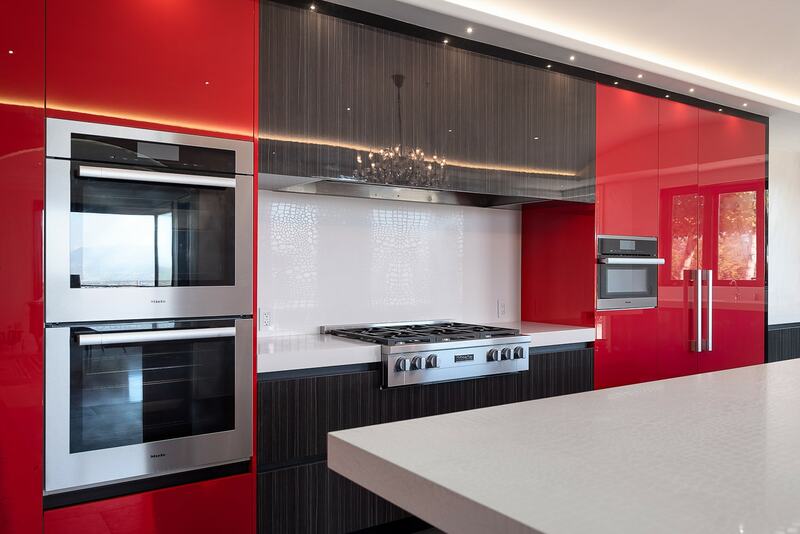 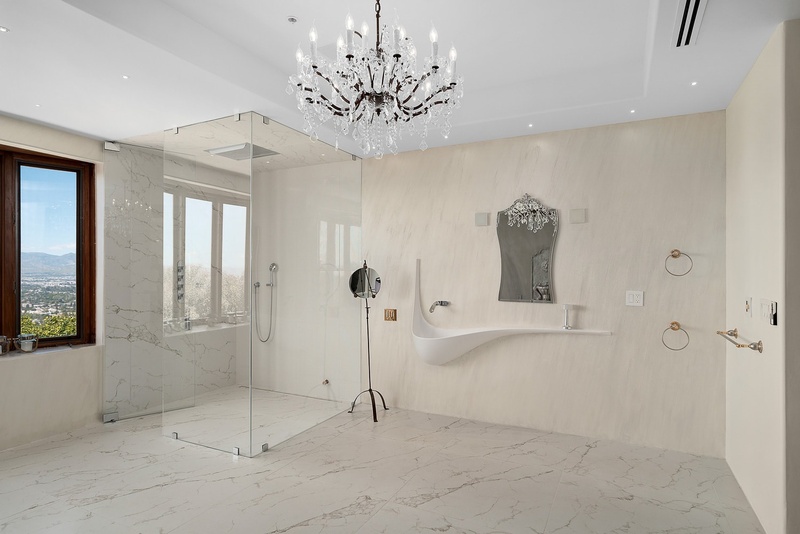 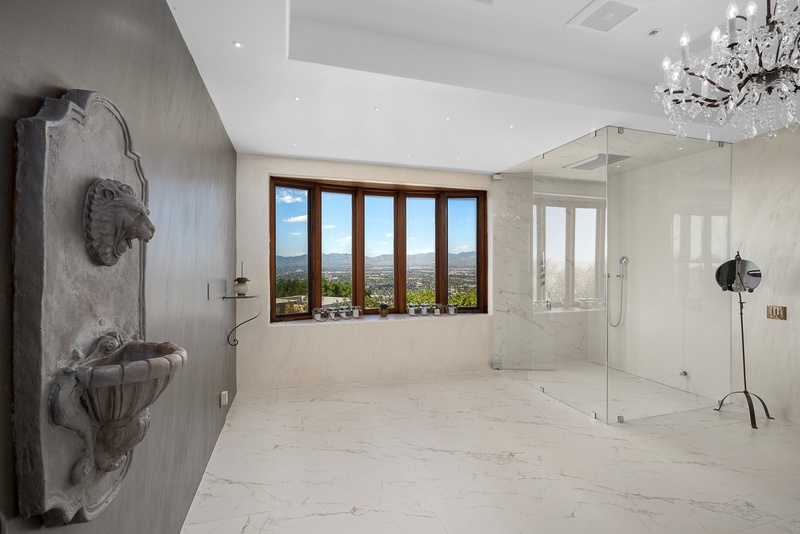 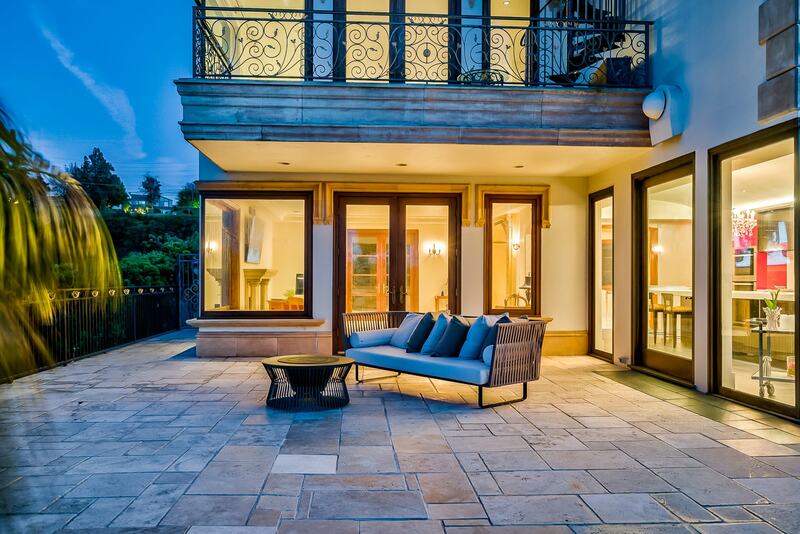 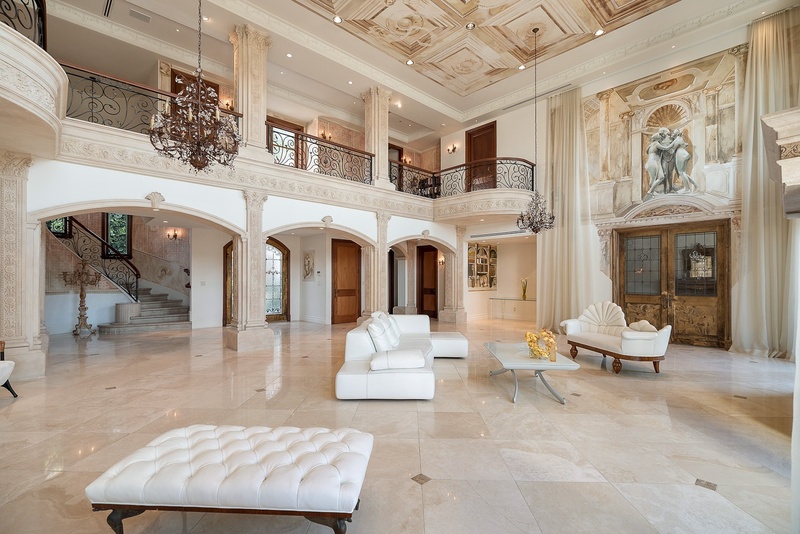 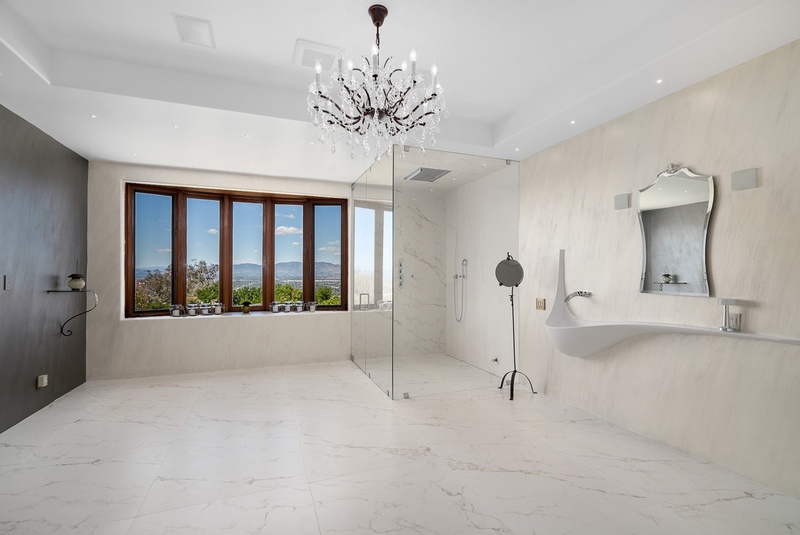 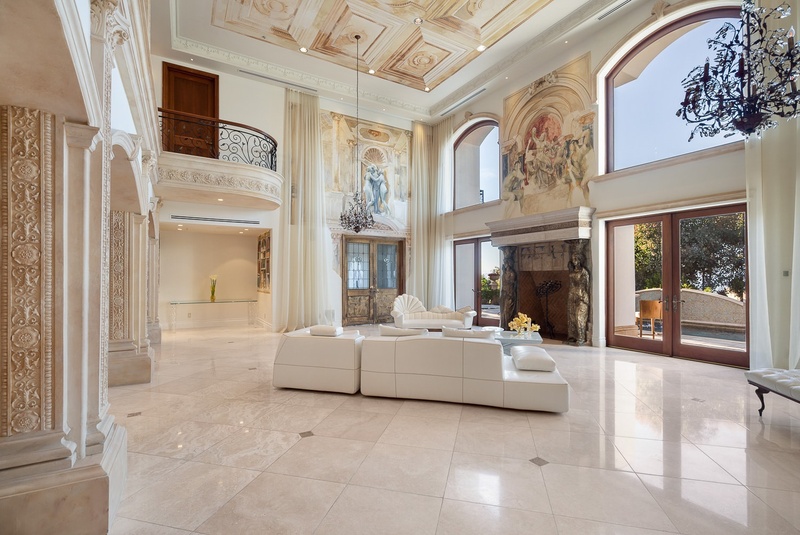 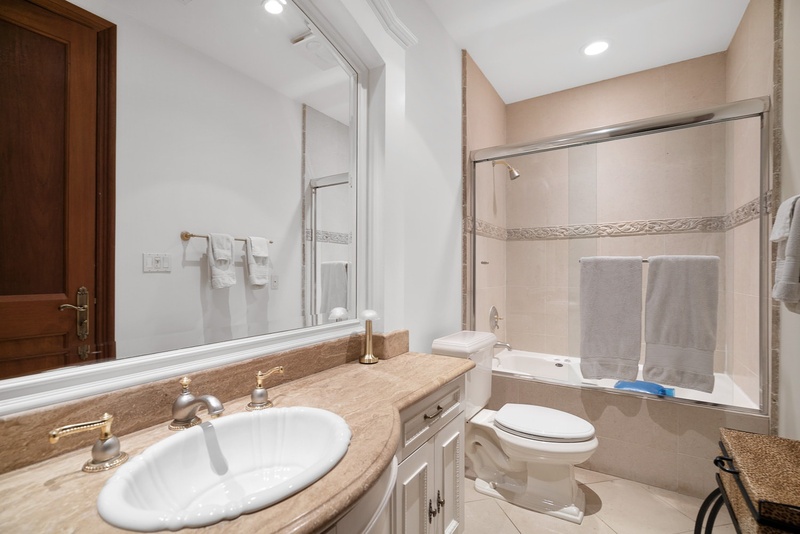 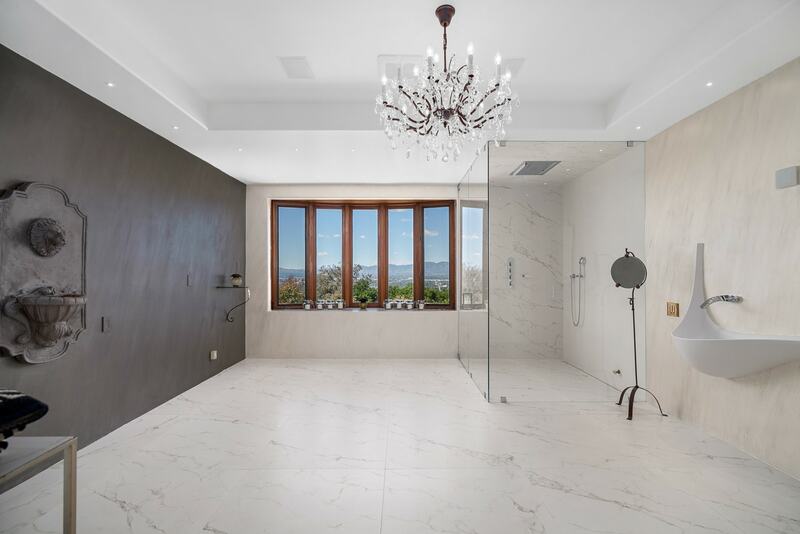 Stunning marble floors, exquisite moldings & an 8 ft fireplace Total sophistication & beautiful finishes including marble and wood floors, venetian plaster & more. 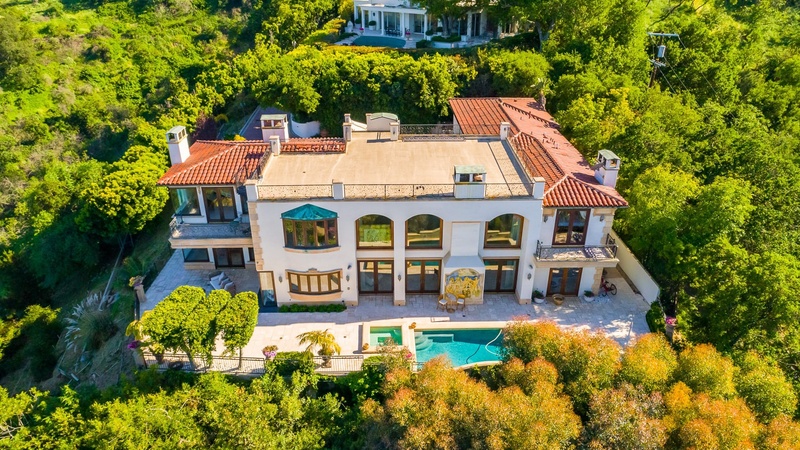 Incredible Large redone chef's kitchen w/ brand NEW Miele appliances, white quartz island and family room open to al fresco dining and patios with lounge area INCREDIBLE VIEWS with romantic pool and spa.Upstairs are 4 ensuite bedrooms, extremely large master suite with room like walk in closet, grand remodeled bathroom, fireplace & 2 terraces complete. 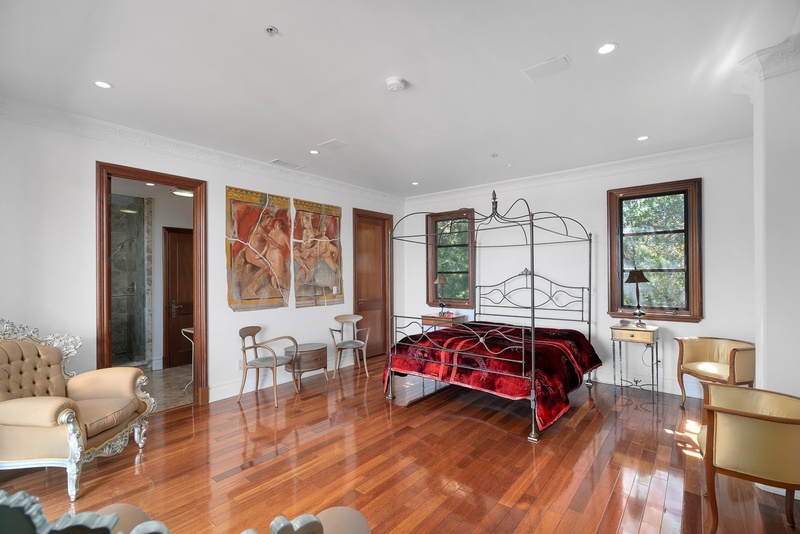 Main floor includes guest suite and library. 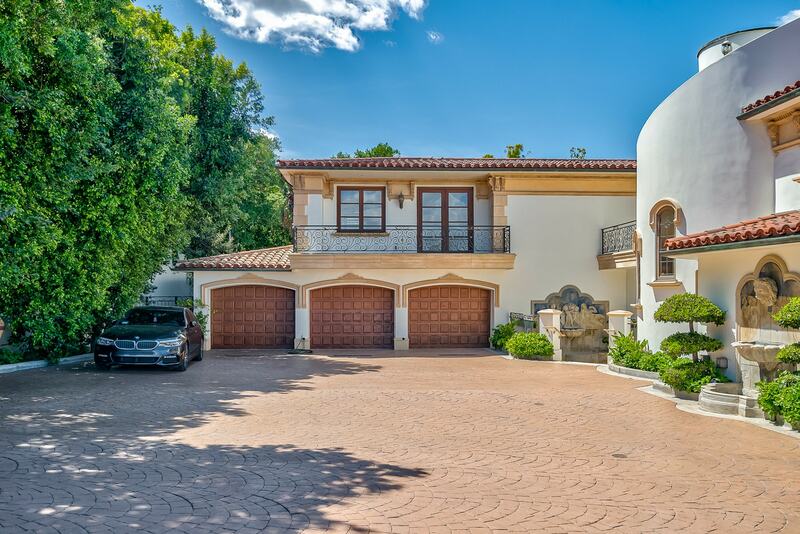 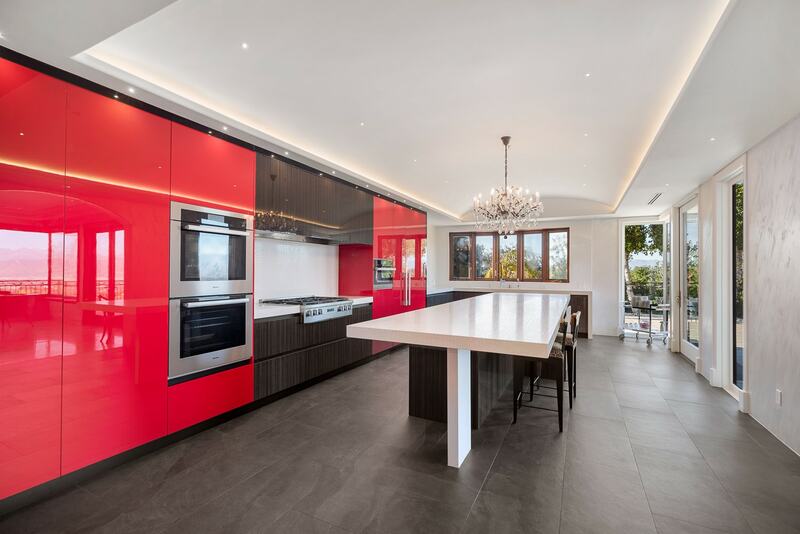 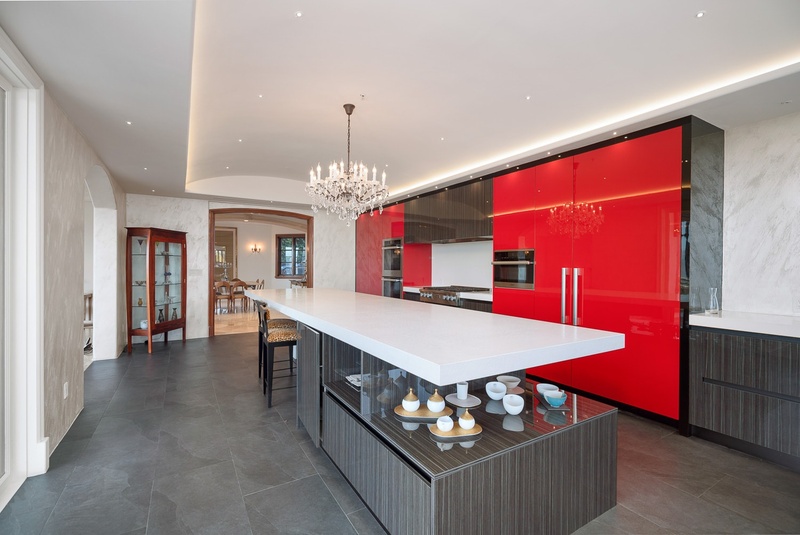 Three car garage & large motor court complete this wonderful private mini estate.